gospel | Rent-A-Friend 2000's Biblical Thinking and Good Times! The story we call the Gospel is the good news of Jesus Christ, told in a book known as “The Bible.” If you’ve been living out from under a rock, you have heard this book referenced in all kinds of different media- from TV and movies to popular magazines and maybe even- if your denomination is particularly conservative- in church. It was not long ago that all churches used to talk about the Bible, but as of late they’ve been distracted by things like the Oprah Book Club, or any device whose name has a lower case “i” in front of its name. His Mood is somewhere between sunny and cloudy, but then so is the weather. 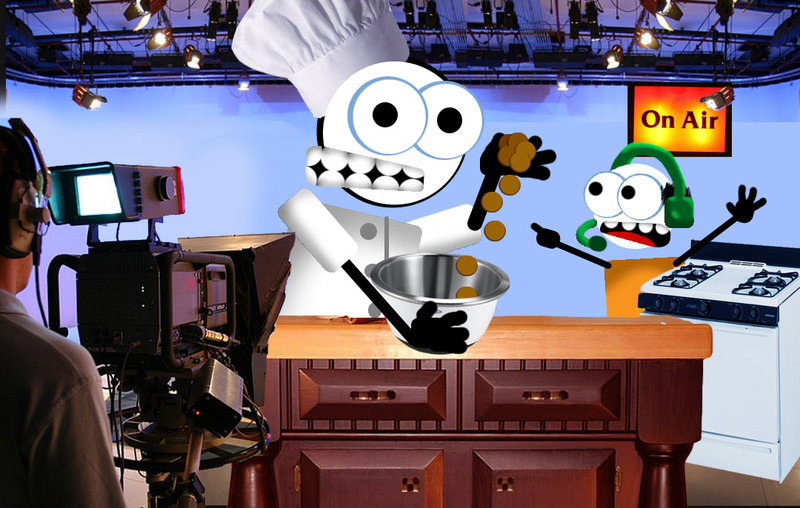 RAF2K: Welcome to Cooking with Rent A Friend! Today we’re going to be making an easy recipe that everyone will love! We’re going to be making some cookies. This is an old family recipe; it goes all the way back to our first parents Adam and Eve. But don’t worry- this isn’t Grandma Eve’s Apple Cobbler Surprise!